With its extraordinarily powerful lift capacity and extensive potential for precision farming, the top model sets a whole new benchmark. 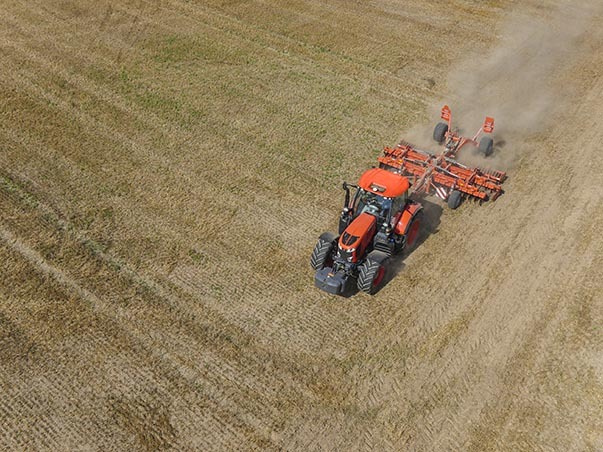 Add to this first-class comfort and surprising operator convenience, efficient farming has never been this easy. Surprisingly powerful: All model variants with 130/150/170 hp, and 20/20/5 hp Power Boost option, demonstrate extraordinary dynamics and power. Superbly versatile: The proven powershift transmission scores with its tremendous efficiency, and the continuously variable KVT transmission offers almost endless potential with maximum shifting comfort. Impressively environmentally friendly: The 6.1 L diesel engine with innovative SCR technology reduces emissions to a minimum and exceeds the current Stage IV Final emission standard. Exceptionally well arranged: The spacious cab provides boundless panoramic views with no blind spots, while the ergonomic seats and low cab noise ensure optimal comfort. Astonishingly comfortable: The all-in-one terminal and multi-function lever are positioned optimally for ergonomics allowing intuitive control and easy monitoring of all machinery. Impressively precise: 100% ISOBUS-compatible, the M7001 supports the efficient use of operating equipment. The potential of its automatic steering system makes it a precision solution for effective agriculture. The Kubota engine has an excellent maximum low-end torque at 1,400 rpm. Its performance curve is best in class and provides advantages for all power take-off (PTO) implements. The robust V6108 engine is equipped with an SCR exhaust after-treatment system (AdBlue®). The combination of this technology with a diesel particulate filter (DPF) muffler and an exhaust gas recirculation (EGR) system ensures that the M7001 clearly exceeds the requirements of the latest Stage IV Final emission standards. The four-cylinder engine in the M7001 has a very efficient fuel consumption for its power. Lower fuel demand, together with reduced AdBlue® consumption, results in long operating times. The M7001 offers additional power to maintain maximum working performance. 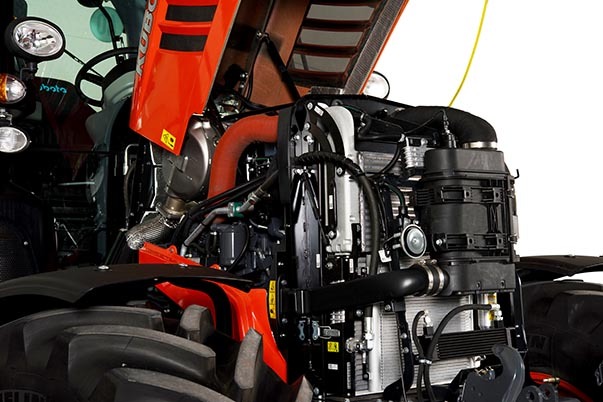 If a short-term performance increase is needed for exceptionally heavy work during PTO or transport applications, the M7001’s Power Boost will immediately deliver more power to the tractor. It’s all about getting more out of the new 6.1-litre V6108 engine from Kubota. The four-cylinder engine delivers as much power as perfect for tough field jobs. Its innovative SCR technology also reduces harmful emissions. In other words, you are also saving the environment. Kubota’s 4 valve per cylindre 6.1-litre diesel engines have a long piston stroke. The E-CDIS (Central Direct Injection System) produces a combination of power and efficient fuel consumption, less noise and vibration. The common rail system (CRS) controls the injection timing and the amount of fuel injected in stages under high pressure for optimal combustion. The high-performance turbocharger with waste gate system provides high torque and enormous tractive power. The M7001’s transmission allows to increase speed efficiency while adapting it your needs. If you want stepless transmission, the continuously variable KVT transmission of the Premium KVT M7001 is definitely the way to. The auto-mode selects automatically the optimal gear for the desired travel speed. You only need to set the required speed range of the transmission in your dashboard or inside your K-terminal. Instead of concentrating on shifting, you can fully focus on the actual task at hand. The gains in productivity and comfort are significant. Transmissions are developed with overdrive technology (ECO mode) to save fuel. The engine speed is automatically reduced during driving, while maintaining a speed of 40 or 50 km/h. Another positive side effect: you can work in a quieter cab because of the reduced engine speed at 1,600 rpm in ECO mode. 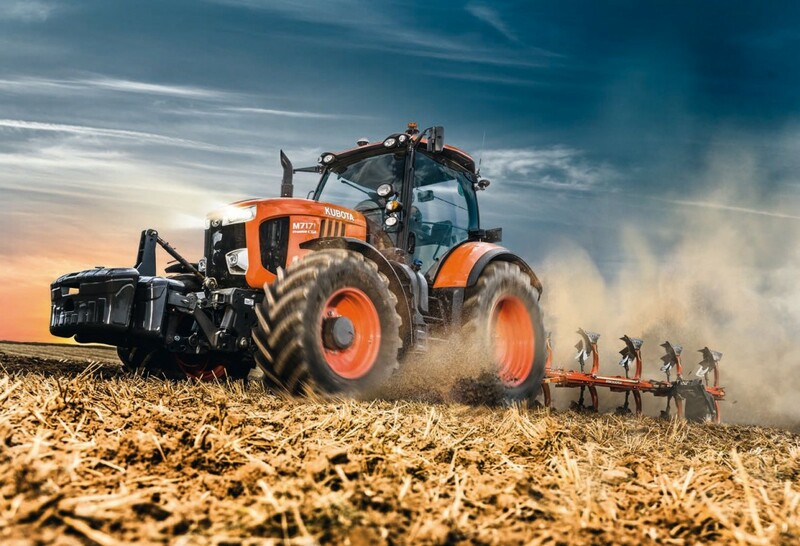 If you’re looking for optimum tractor performance wherever you go, the KVT (Kubota Variable Transmission) is the perfect choice. The continuously variable transmission of the M7001 Premium KVT model provides infinite forward and reverse speeds. Its fast-response brake system also gives you full control and constant speeds—even downhill. For road travel, you can operate the KVT with the multifunction lever or the accelerator pedal. Its sensitivity and engine characteristic can be set via the K-Monitor. Automatic mode is used mainly for road travel and field work. 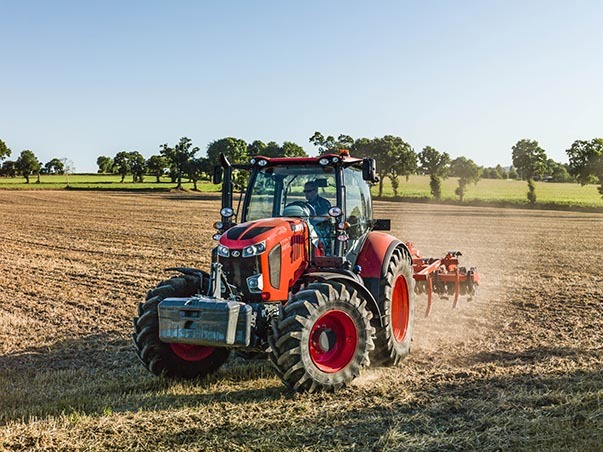 The tractor adapts to the load conditions at lower engine speeds, which results in reduced fuel consumption and noise levels. Cruise control keeps the tractor at a constant speed. It can be preset for two forward and two reverse speeds. 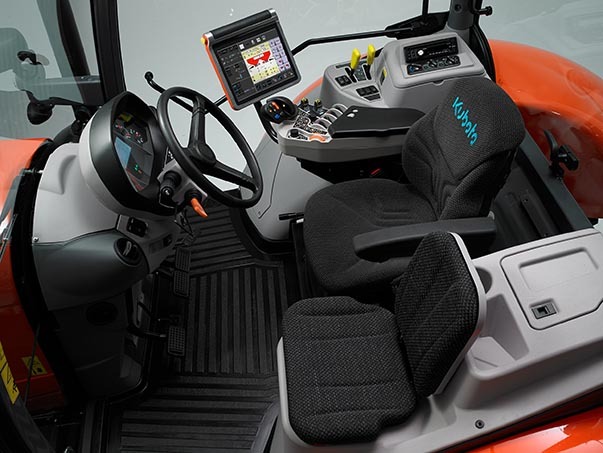 Kubota has also developed specific control software for intelligent drive management increasing productivity and fuel consumption. Whether hauling light or heavy loads, or during PTO work: the DROOP setting mode ensures that the KVT reacts the way it should. The driver can then focus on high-quality work. The lift capacity of the M7001 will impress you: the tractor handles even very heavy implements with ease. 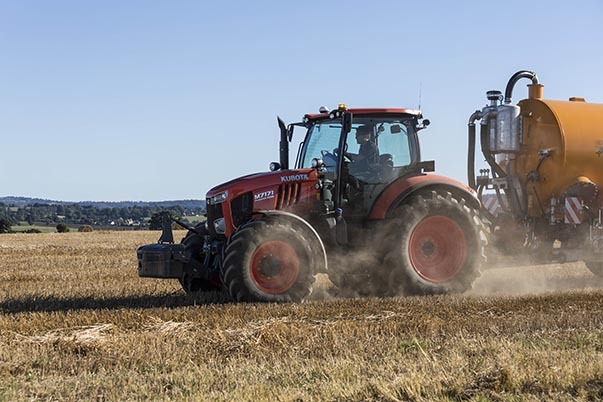 Regardless of whether they are mounted on the front or the rear, the hydraulic linkage is optimally tuned to the unique capabilities of this high-performance tractor. You can select between four speeds (540/540E/1000/1000E) for the PTO speed, allowing you to save fuel while running a variety of implements. The large selection of PTO speeds makes the M7001 very flexible and you can also engage or disengage it from the external fender. PTO engagement (on Premium models) is precise and useful when turning around at the end of the field. Auto PTO disengages the PTO shaft automatically for headland turns, when the three-point hydraulics system is lifted. This is engaged again automatically when lowered. The M7001 can be optionally equipped with a front PTO shaft with 1,000 rpm PTO speed. This allows the flexible use of front implements, such as a front mower or metering tank for fertiliser or seeder. The M7001 has the hydraulics you can rely on. You can choose between two variants of specifications. Regardless of the model you pick, the efficiency and power will impress you. The Premium M7001 series models offer a closed load-sensing hydraulic system with variable flow rates that can perform multiple functions at the same time, and an independent 110-litre pump with four electronically actuated hydraulic valves. Two additional valves are also available upon request. Power-Beyond technology is available for customers who require a high-flow control on their implements. 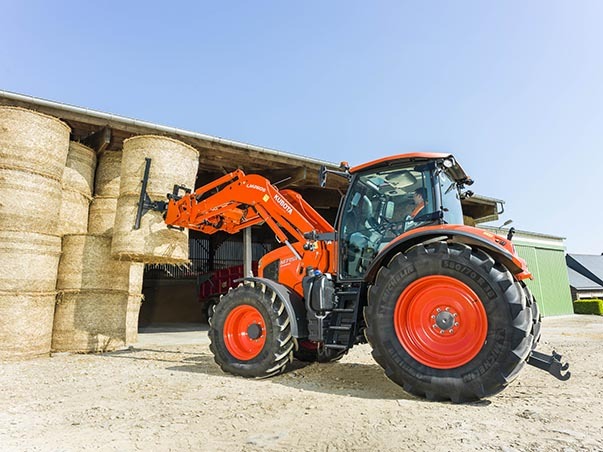 The standard model of the Kubota tractor is equipped with an open hydraulic system, an 80-litre gear pump with three mechanically actuated hydraulic valves, and the option of a fourth valve. Regardless of which model you select, both hydraulic options guarantee great versatility. Front axle and cab suspension serve to treat both driver and machine with care, resulting in high productivity. The M7001 is available without cab suspension, or can be supplied with two different suspension options: a mechanical suspension system or a pneumatic suspension system. The cab suspension has +/−45 mm of spring travel and reliably softens even hard impacts while underway—either on the road or in the field. This also protects the driver. The cab suspension ensures a pleasant driving experience and stress-free work over many hours. The cab of the M7001 offers a mechanical suspension system as an option. A pneumatic suspension system is also available. The well-insulated cab (72 dB(A)) lets in very little noise enter. This allows you to focus and work in peace all day long. Anyone in an M7001 has an extremely comfortable workspace. The spacious is optimised to the driver needs to maximise their performance. The M7001 guarantees a pleasant working environment even when you need to spend long working days in the ﬁeld. The spacious cab is amongst the largest in its category. On top of outstanding spaciousness, it also has great comfort, an impressive operating concept, and exceptional panoramic visibility, allowing you to focus. Hard ploughing work, quick transport trips, or frequent front loader work in tight farmyards – with its excellent traction, extremely high driving stability, and excellent maneuverability, the M7001 comes through even on tough assignments. With the Kubota M7001, you’re sure to meet your objectives, no matter how daunting the task. The front axle and cab suspension of the M7001 improve productivity with increased traction and driving comfort. The optional front axle suspension of the tractor helps to apply greater force to the ground. The tractive power is optimally transferred—an advantage when ploughing heavy soils, among other things. The front axle suspension not only results in better traction and more driving comfort, but also ensures safe driving behavior. This provides additional safety for faster road travel. When ON / OFF in automatic mode, the suspension system automatically adapts to the current load. The auto-differential locks on the front and rear axles of the M7001 are engaged electro hydraulically and ensure the best possible traction, even under poor soil conditions. With only four pillars, rounded rear fender, and a for-ward-sloped bonnet, the front, back, and side view is excellent. Without any blind spots, the M7001 can be safely maneuvered and you can concentrate fully concentrate on the job. The ergonomic design of the control elements helps to focus on the work at hand. All control levers, switches, and buttons in the cab are arranged logically, are easily recognisable, and within comfortable reach. 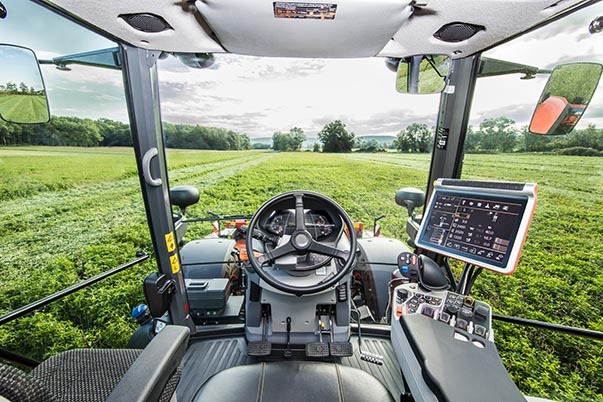 The large LCD display on the dashboard provides a clear and precise overview of all the information required for operating the tractor. Even a first-time driver will appreciate the easiness. Kubota used every means to further optimise your workspace according to your needs. 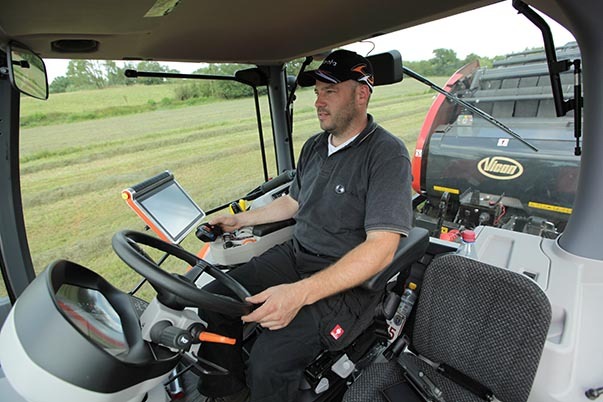 All of the information is found at one central point, the K-monitor, so that you can operate the tractor and machinery as easily as possible. The Go 7-inch and Pro 12-inch K-monitors combine a variety of functions with intuitive operation. The advance M7001 is 100% ISOBUS-compatible, which means that you can use any ISOBUS device or machine on the market without limitations. This saves time and money, allowing you to do your work stress-free. Advanced M7001 tractors are ISOBUS-certiﬁed. A connector at the rear of the tractor makes it possible to display the ISOBUS devices in the cab on the Pro 12-inch or Go 7-inch K-monitor. All device settings can be accessed from the touchscreen display by your seat. You can adjust the K-monitors to your liking. Two certiﬁed ISOBUS operating terminals are available for the M7001: the Pro 12-inch and Go 7-inch K-monitors. These user-friendly touchscreen terminals can be used to set up and control ISOBUS devices and manage all tractor information and settings. On the K-Monitor Pro 12” there is one main working screen and three others to display all functions that you want. This can allow the operator to switch from one function to the other. On the K-Monitor Go 7” there are some short cut switches to allow fast and easy switching between all the functions. Headland management automates the raising and lowering of attachments in headland turns. This saves time and allows you to concentrate fully on turning without worrying about the implement. In addition, the ISOBUS technology is of great assistance in many other tasks, such as the manual steering aid displayed via LEDs on the terminals. An automatic steering system is available as an option for the Pro 12-inch K-monitor. The steering aids contribute to minimal overlaps and missed areas, time savings, lower costs for resources, and productive work at night. 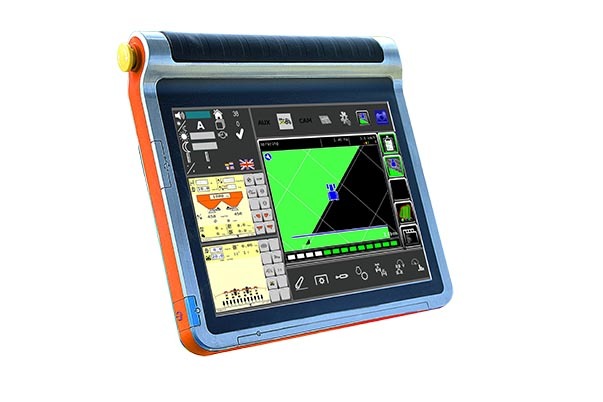 This GEOcontrol function included in the Kubota terminals allow in combination with a GNSS receiver to use the section control application or/and the variable rate function. Those functions can be used with ISOBUS implement like the seeder, precision seeders, spreaders or sprayers. These functions allow cost savings, by saving: time, overlap, fertilizer, seed. All the different tasks done with the terminals can be exported to offer perfect traceability. 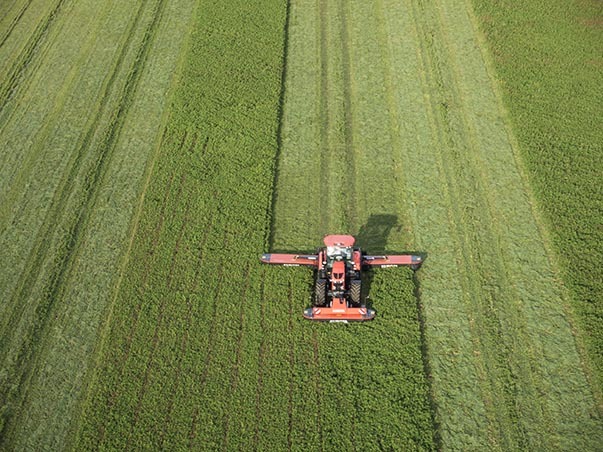 Precision farming is characterised by the very precise application of seeds, fertilizers, and pesticides. For even greater focus during application, you can request an automatic steering system for the M7001. It is also very practical for soil work, keeping you safely on track. With the optional automatic steering of the M7001 you can focus completely on the optimal usage of the implements, because the tractor takes over the steering for you. In combination with the GPS-system the automatic steering controls the direction and movement reliable and precisely, on straight lines and in curves. The automatic steering not only optimises your efficiency and precision, you will also feel less fatigue and stress. This is even more visible in dark conditions. Overlaps and missing spots will be avoided and you will apply fertilizer, seeds and pesticides very precisely, thus saving you money, time, and fuel. 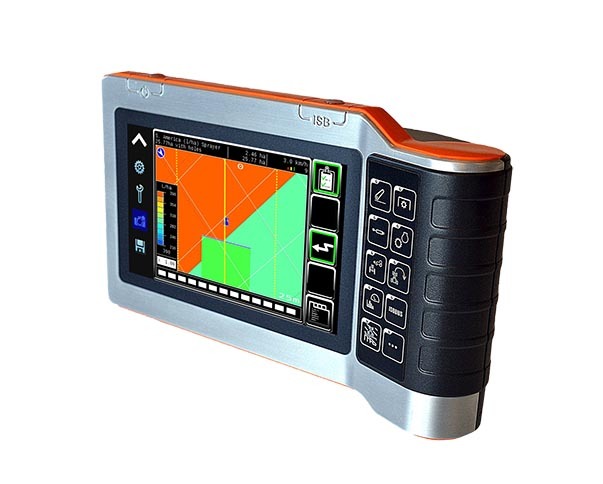 The integrated GPS allows the M7001 to record its own movements, to display GPS maps on the K-Monitor, and to perform various automatic GPS-controlled functions. 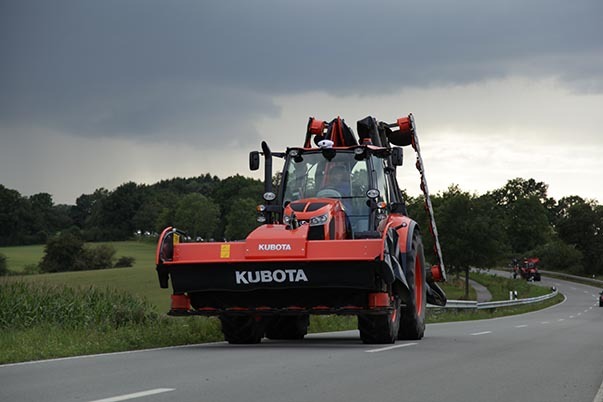 To ensure maximum accuracy, Kubota relies on two correction signals : EGNOS (European Geostationary Navigation Overlay Service) and RTK (Real Time Kinematics.) The combination of these two technically refined solutions keeps you on track with extreme precision. Thanks to the optional automatic steering system, the M7001 knows where you are and in what direction you are moving. 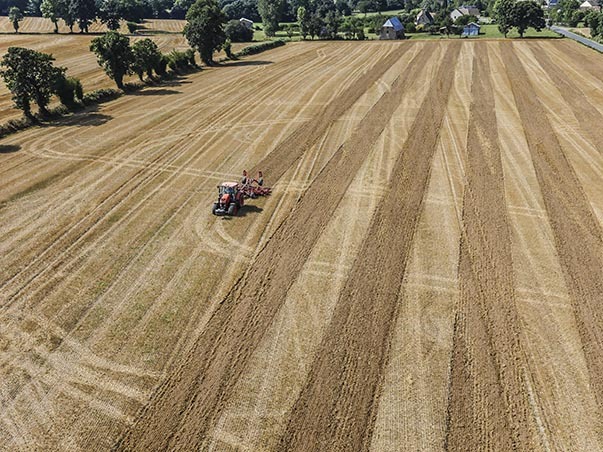 If you leave the driving to the tractor, you can use the additional freedom to perform a number of control functions that allow even greater efficiency and precision in your work. The Front loader and M7001 are perfectly compatible ! This tailor-made combination provides several advantages at once: smooth operation, first-class controls, and maximum efficiency for front loader work. The front loader control is located on the M7001 Premium armrest for smooth and effortless operation. You can use several functions simultaneously thanks to the hydraulic technology. The tipper bucket control ensures rapid dumping. No need for long waiting times: the front loader can be attached or detached in minutes, without any tools. The Kubota KSR (Kubota Shockless Ride) shock softening system helps to minimise vibrations. 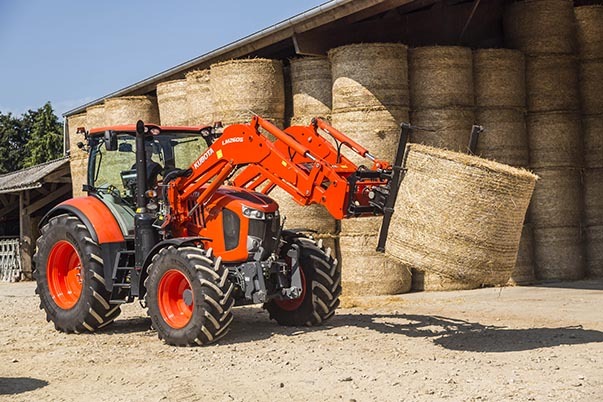 Even with the basic equipment package, all M7001 front loaders have three functions as standard and a fourth function as an option for working with baling forks or other hydraulically activated front loader tools. The valve is activated by a conveniently located switch on the joystick.